As you can see from the picture above it was a beautiful day. I was excited to get out and paint. The sun felt warm on my face and there was no wind to speak of. I was entranced by the cross waves, giant billowing waves that were nearly as large as the incoming waves. Alas, I have no painting to show. I had started painting and suddenly, it just wasn't going the way I wanted it to. The problem, in my eyes, was that it was looking like all of my previous paintings. Now, there is nothing wrong with that, I am proud of my work, but I am trying to get to a certain quality and level of painting. There were a few other problems too but I have pinpointed them now. Well, I was a bit discouraged. I packed up my stuff and then pulled out my binoculars and watched the waves in close detail for a while before heading home. I know what this point in my progress is. I have been here before and I recognize it. It doesn't make it any less discouraging though. To top it off, several odd things seem to come together to make it seem even harder. When I got back home, walked Twill, and had a good lunch, I did some studying. I am ready to try a new level when I get back out to the beach to paint tomorrow. I might make a mess but I think it will be a good thing. I am almost finished with the book on Frederick J. Waugh. The final chapter is called Waugh's Suggestions on Marine Painting. I thought I would share a couple tidbits before ending the post. "No doubt", writes Waugh, "the sea is a difficult subject. To paint it convincingly means long, careful observation of its many phases and its anatomy, for the sea has anatomy." Indeed it does both as a whole and as parts. I have noticed that even the waves have spines. That has been most helpful for me. I will get those pesky cross waves painted accurately yet! "To paint the sea, you must love it, and to love it, you must know the sea." There is a lot of truth in those words. You need the love and the knowledge to keep painting it when it gets hard, as it often does. 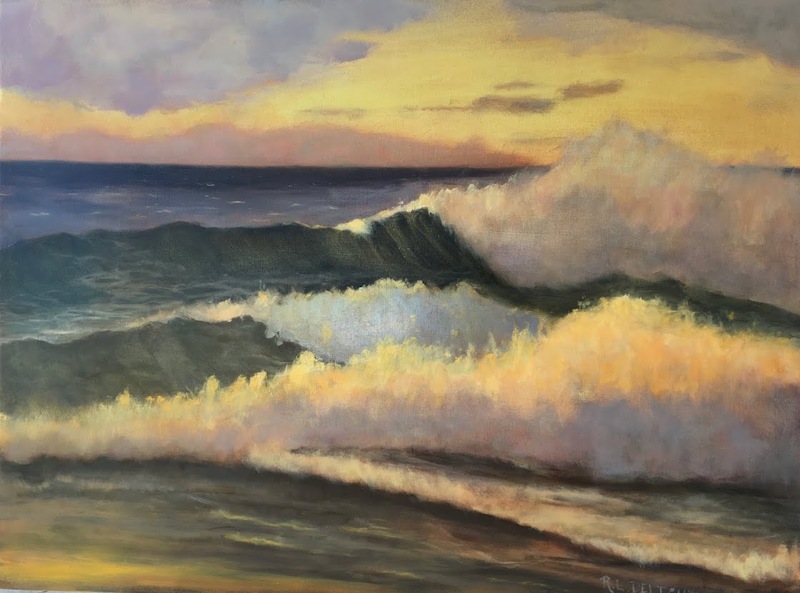 I have been told that it is extremely hard to make a living painting seascapes and that so many people want to be seascape painters and give up. Well, I love the sea, to the core. I have considered the ocean my "hometown" for decades now. That means I won't stop painting it, even if it means that I won't be rich and famous! Good luck today RL, a little study goes a long way. Thanks for sharing your progress and studies. Hold that thought! AND get out on the sea Renee. You're close enough that you can. I too love the sea, probably not as you do, but there is a totally different energy being on it as opposed to being on shore watching it. Thank you for the encouragement JanettMarie, I appreciate it. Good thoughts Theresa. I grew up sailing on the ocean, swimming, body surfing, and surfing. My father was part seal and made sure we learned to respect and love the sea. 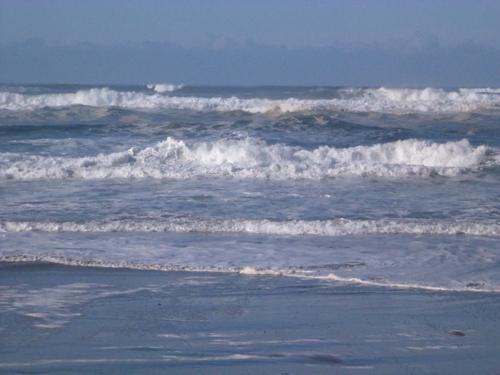 I have spent years playing in the waves, and often getting creamed and pounded into the sand. I love to snorkle and know what waves look like from under the sea too! All of that definitely adds to my love and determination. So, yes, you are right. A different energy but important too. Thanks for the comment!